Attila LS Gero: “My top ten didn’t change at all. The biggest faller this week was #25 Kentucky, sinking from 11 to 25. 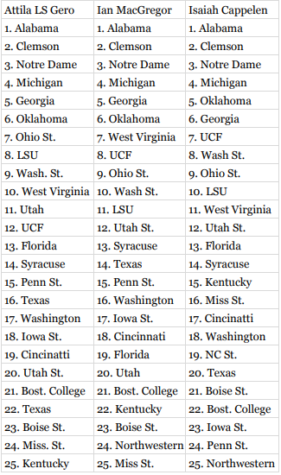 Boise State and Cincinnati make their reappearances in my poll this week, coming in at #23 and #19 respectively.